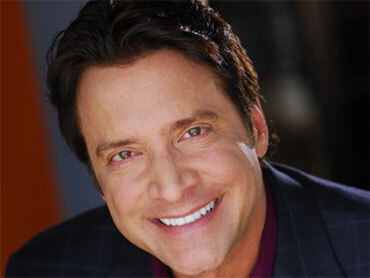 PRESCOTT, Ariz. (CBS/AP) Police have now turned their attention to television self-help guru James Arthur Ray in their investigation of an Arizona sweat lodge ceremony that left two dead and 19 hospitalized. Yavapai County Sheriff Steve Waugh said Saturday that his detectives were focusing on the self-help expert and his staff as they try to determine if criminal negligence played a role in the tragic deaths at the Angel Valley Retreat Center in Sedona, Ariz., on Oct. 9. The town is a desert vacation spot two hours north of Phoenix that is popular with those seeking meditation and spiritual health. Waugh said Ray refused to speak with authorities and has since left the state. "We will continue this investigation down every road that is possible to find out if there is culpability on anybody relative to the deaths of these individuals," Waugh said. He said it could be three to four weeks before they knew if criminal charges would be filed. Ray's recent postings on his Twitter account said he was "shocked and saddened" by the tragedy. "My deep heartfelt condolences to family and friends of those who lost their lives," he wrote. "I am spending the weekend in prayer and meditation for all involved in this difficult time; and I ask you to join me in doing the same." Ray claims to help people achieve both spiritual and financial wealth. "The real key to creating the life of your dreams is achieving true Harmonic Wealth®," he says on his Web site, trademark included. The self-styled success guru, who has appeared on Oprah, Larry King and the movie "The Secret," says people are ready for his wisdom if "You simply (and deeply) want to make more money and become more successful" and "want to double, triple, even multiply by ten the size of your business." It's not clear what type of financial wizardry was being taught inside the 415-square-foot homemade sweat lodge when a 38-year-old female surfer and a 40-year-old father of three dropped dead. Ray's company, James Ray International, is based in Carlsbad, Calif. Ray's publicist, Howard Bragman, expressed condolences in a statement Friday but declined to speak about the deaths. Bragman didn't return a call for additional comment Saturday. The Angel Valley Retreat Center is owned by Michael and Amayra Hamilton, who rented it to Ray for a five-day "Spiritual Warrior" retreat that promised to "absolutely change your life." On Saturday, Amayra Hamilton said Ray has held the event at the resort for seven years, and there never have been any problems. Hamilton said the resort remains closed to the public. The sweat lodge has been dismantled and a ceremony was conducted for those affected by Thursday's incident. "The whole situation is very traumatizing for everybody," she said. The people at Ray's retreat, whose ages ranged from 30 to the 60s, paid between $9,000 and $10,000 to attend. Ray and his staff constructed the temporary sweat lodge with a wood frame and covered it with layers of tarps and blankets, Waugh said. The sweat lodge — a structure commonly used by American Indian tribes to cleanse the body and prepare for hunts, ceremonies and other events — was 53 inches high at the center and about 30 inches high around the outer edges. 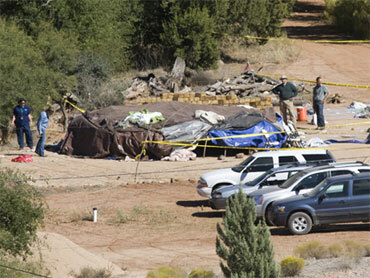 Photo: Investigators look over a "sweat lodge" on the grounds of Angel Valley Retreat Center, near Sedona, Ariz. Between 55 and 65 people were crowded into the 415-square-foot space during a two-hour period that included various spiritual exercises led by Ray, Waugh said. Every 15 minutes, a flap was raised to allow more volcanic rocks the size of cantaloupes to be brought inside. Joseph Bruchac, author of "The Native American Sweat Lodge: History and Legends," called the number of participants in the lodge "appalling." "If you put people in a restrictive, airtight structure, you are going to use up all oxygen," he said by phone Saturday from his home in Saratoga Springs, N.Y. "And if you're doing a sweat, you're going to use it up that much faster." American Indian sweat lodges typically hold about 12 people and are covered with blankets made of natural materials, such as cotton or wool, and the air flow isn't restricted, he said. "I don't see how the person running that lodge could have been aware of the health and well-being of that many people," he said. The participants had fasted for 36 hours as part of a personal and spiritual quest in the wilderness, then ate a breakfast buffet Thursday morning. After various seminars, they entered the sweat lodge lightly dressed at 3 p.m.
Two hours later, a woman dialed 911 to say that two people, whom Waugh identified as 38-year old New Yorker Kirby Brown and 40-year-old James Shore of Milwaukee, did not have a pulse and weren't breathing. According to a family spokesperson, Brown was an avid surfer and hiker who was "in top shape," before the mysterious sweat lodge death. Photo: Kirby Brown in undated family image. A nurse hired by Ray was directing rescue efforts including CPR when emergency crews arrived, Waugh said. 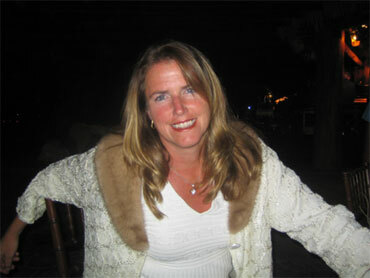 Shore and Brown were pronounced dead when they arrived at a hospital. Sheriff's Lt. David Rhodes said authorities were checking whether there was a lag time between the first signs of medical distress and the emergency call. Autopsies on Brown and Shore were conducted Friday, but the results weren't disclosed pending additional tests. Authorities have ruled out carbon monoxide poising as the cause. Matt Collins, who knew Shore since seventh grade, described his friend as a wonderful husband and father whose life revolved around his three kids. "Everybody who got to know him absolutely loved him," Collins told The Associated Press. Brown, a graduate of the State University of New York at Geneseo, had two sisters who recently got married, two new nephews and a focus on "making the world more beautiful for someone, not only with her art but with her heart," family spokesman Tom McFeeley said. Although the family is saddened by her death, he said Brown created a roadmap by which others should live. "She was the least selfish, kindest person I knew," he said. McFeeley said Brown had attended similar retreats, although he wasn't certain whether any were hosted by Ray. He said Brown, who grew up in Brooklyn and Westtown and spent time in Mexico, saw the outing as a chance to continue on a positive path in life.